Community projects are a great way to build your brand and give back to the community. 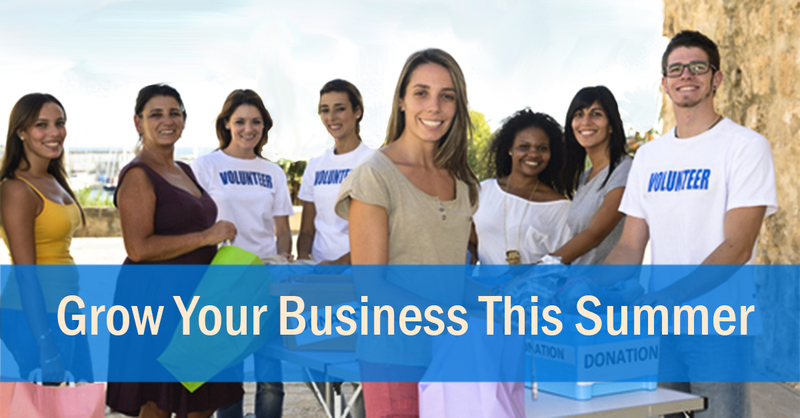 Why not organize or sponsor a community service day or charitable event? Pick a cause that’s a good fit for your business and reach out to the media, in addition to your own marketing, to publicize it. You can also deduct certain expenses related to any volunteer work or charitable giving. From your website to your email newsletter, look for ways to incorporate summer themes and information that are relevant to your customers. Send out newsletters that showcase your summer specials, but mix it up with good content—summer fashion tips, recipes, or pet care in the heat. Pre-order low-cost summer promotional items now. Branded goods such as Frisbees, beach balls and drink coolers will ensure your logo is in front of customers all summer long. The above is an excerpt from the article, “Grow Your Business This Summer – 7 Marketing Tips that Won’t Break the Bank”. For more information please visit www.sba.gov.